If you need commercial carpet cleaning, then System Clean will be able to take care of that for you. Excellent customer service is what you will get when you choose our company. Making our customers happy is our main goal. There are many ways your business will be able to benefit if you have the carpet cleaned. Cleaning the carpet will reduce the allergens in it. This can help alleviate allergy symptoms, such as watery eyes, sneezing and itchy throat. You will also be able to preserve your carpet longer by having it professionally cleaned. Furthermore, your carpet will look better after it is cleaned. System Clean ensures that your carpet will be properly cleaned by hiring the right technicians. All of our technicians are professionals who are trained and experienced. They go the extra mile for clients. We only use superior cleaning products and equipment. The products we use are designed to make the carpet look its best. Not only are our products effective, but they are also safe. 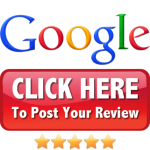 System Clean knows that you expect great service, and we strive to give it to you. We look forward to cleaning your carpet. Contact us today to schedule an appointment.